When I was about 10 I would start to binge eat a lot and as I got older, I would do it especially if my parents left the house. It affected my brain mostly. I never felt truly happy because I always felt like I was hiding behind a bunch of clothes and a ton of extra weight. One night I was sleeping and woke up because my feet were tingling really bad. I knew that was a symptom of diabetes and I got very scared. I started playing Just Dance on the wii everynghy and cutting all the bad foods out of my diet. I started seeing movement on the scale almost immediately. I didn’t actually see a change in my body until about 2 months in. About 4 months into my fitness journey, I developed appendicitis and couldn’t work out for about a month. It was horrible and my eating habits suffered. 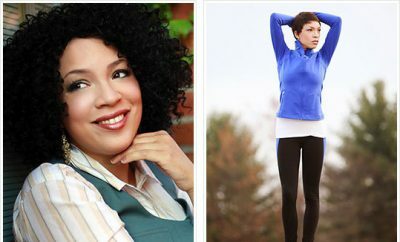 RELATED: 110 Pounds Lost: Facing my food addiction! Yes of course I wanted to give up. Dealing with school, home life, and also trying to count calories and workout was very difficult at first. Also, when you don’t see results on the scale it gets discouraging. 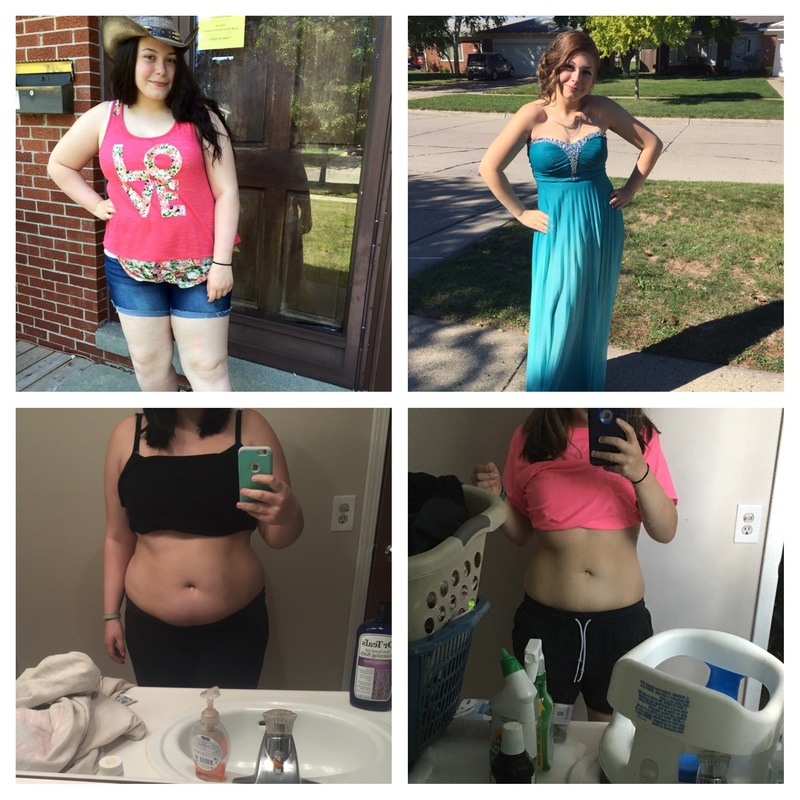 Looking at progress pictures and taking measurements rather than just the scale helped a lot. 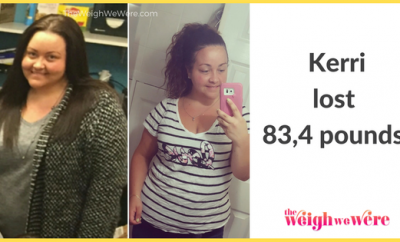 In about June ( 6 months into my journey) my weight came to a standstill. I couldn’t lose weight at all and this lasted for about a month, then I started counting Macros and also lifting weights. I always loved the feeling of my jeans becoming too big. 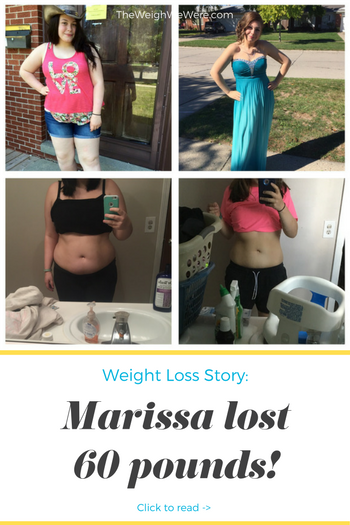 I started at a size 16 and am now a size 7. Also, trying on homecoming dresses this year was definitely a non scale victory because last year I couldn’t find many that were my size. Now I eat a lot more vegetables, and much more protein (chicken, Greek yogurt, eggs.) when I was heavier I would eat chips and cookies for snacks. Now I always have something healthy. I can run without feeling like I’m going to die now. Before, I could never have used weights or gone on an elliptical for an hour. But now it’s like a second nature to me. Keep healthy foods in your house rather than unhealthy things that will just tempt you. Try using YouTube for new workouts. There’s a ton and they’re all free. Don’t waste a bunch of money on useless programs or “quick fixes,” the best results will come with time. 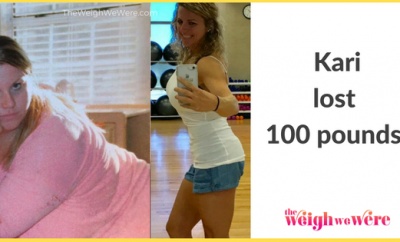 Next Story → Weight Loss Before and After: I Lost 220 Pounds Forever!